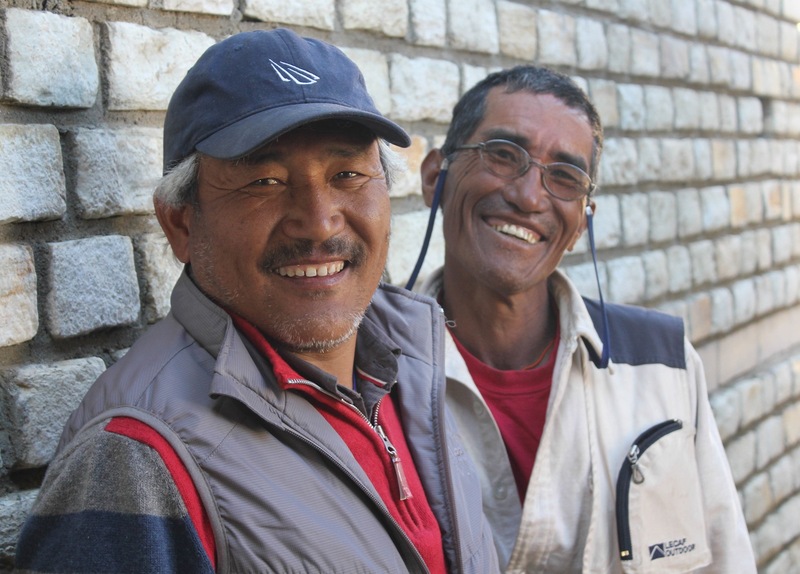 Lama Brothers: Jampal Lama (front) and Norbu Lama are Jumal’s new entrepreneurs. In Jumla, Norbu Lama isn’t a household name, but his hotel is. An ambitious, multi-million rupees project, Hotel Kanjirowa is unlike any other facility in this valley in one of Nepal’s most remote districts. While a semi-finished and semi-functional two-story stone house gives an initial impression of the proposed three-star hotel, the architectural skeletal of the work-in-progress structure sprawling over 19 ropanies (9,666 square feet) of land maps the project’s grandeur. “I want this to be a landmark in Jumla,” says Lama who has teamed with his cousin Jampal Lama on this endeavour. There aren’t many landmarks as such in Jumla apart from the golden dome of the Chandan Nath Temple with Mt Patarasi peeking in the backdrop in Jumla Bazaar. 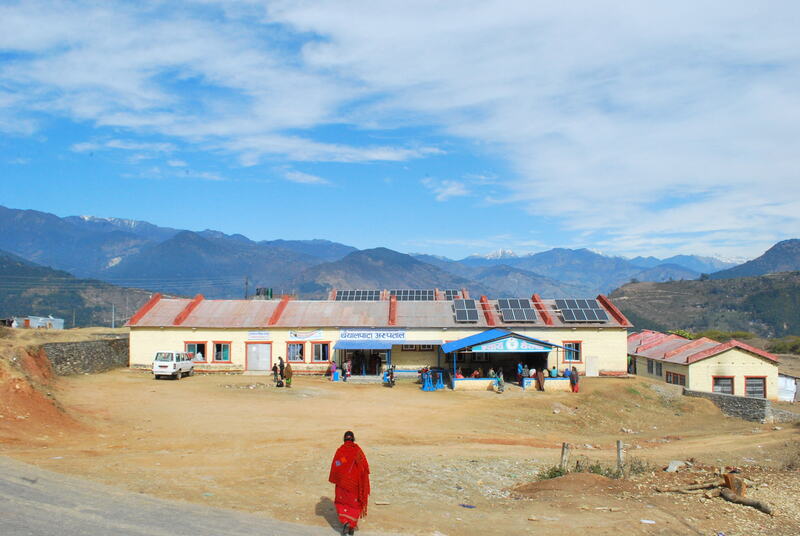 But once completed, according to Norbu, their hotel would stand as Jumla’s modern-day marvel, which would highlight the pace of development in this district, often regarded as the poorest and most backward. The Lama brothers’ personal story, as they say, attests the very notion. They came from a poor family of the neighboring Mugu district and struggled to make a livelihood. While Jampal, now 47, left for India at an early age with his mother, Norbu, 55, migrated to Jumla and made it his home. He started working as a porter and then a trekking guide while his younger cousin worked in construction in India before returning to Nepal in his mid-20s. While Jampal’s share constitutes his financial investment and construction expertise he gained from India, Norbu says he has poured his entire saving to see his dream project become reality. “I carried people’s load and worked as a guide for 26 years — all the money I saved has gone into this,” Norbu says as he sits outside the makeshift dining hall behind the main wing of the building. Hotel Kanjirowa, according to its owners, will be Jumla’s next landmark. For a place like Jumla, the hotel’s capital is staggering. The brothers estimate the total cost would come to the tune of more than Rs 100 million. 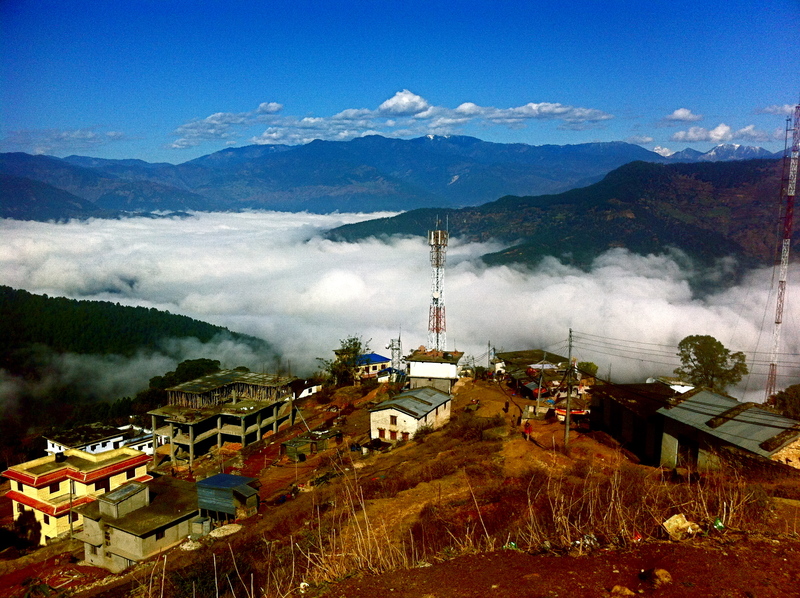 The land itself cost Norbu about Rs 30 million. The business partners have also borrowed some capital from the bank. Though it’s a big risk, the tall man with a thin but fit body structure, Norbu says he takes this venture as a challenge. 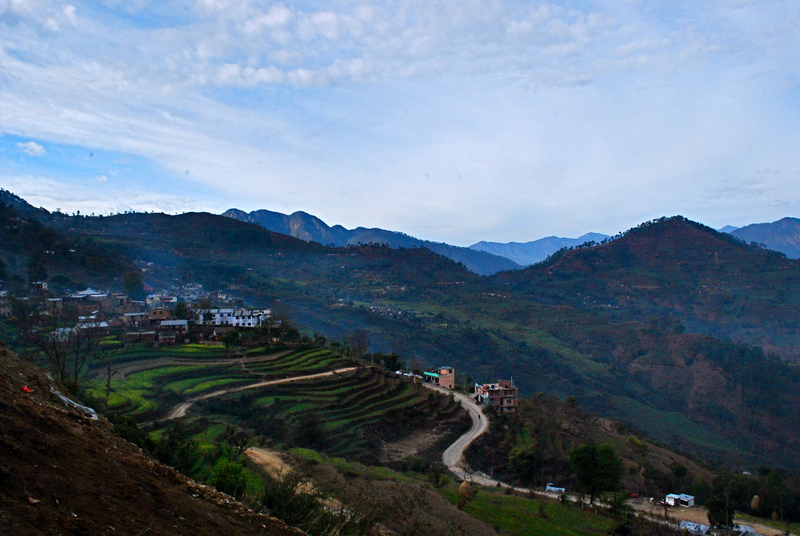 A commercial hub of the Karnali Zone, one of the country’s least developed pockets, Jumla is famous for its apples and herbs like yarsagumba, or the Himalayan Viagra. While apple trade contributes Rs 40 to 50 million to the local economy, herb trade generates up to Rs 500 million, according to the United Nations Field coordination Office’s report. Like 93 percent of Jumla’s people, Norbu’s family is also involved in agriculture, but he is also in the one percent bracket that has steered into the hotel business. The Lama brothers are offering a 24-room facility with modern amenities. 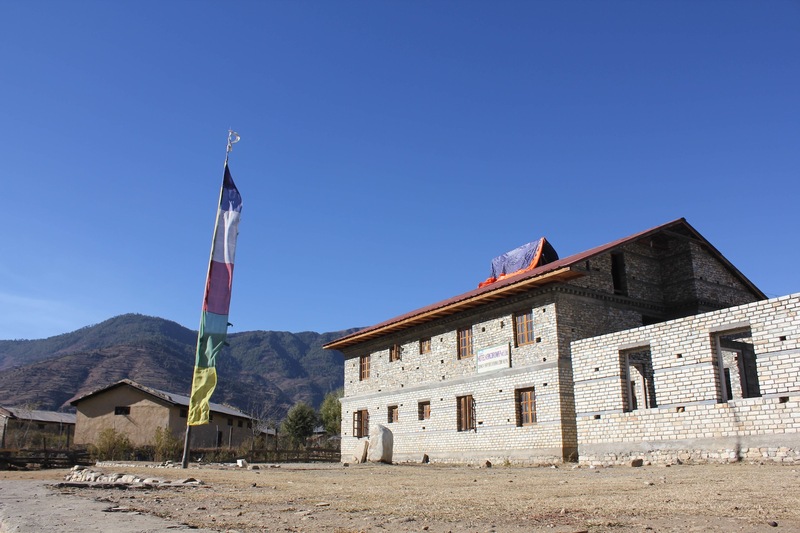 Hotel Kanjirowa, according to them, will supersede all the other hotels that currently operate in Jumla and its periphery. The hotel will not only contribute to the local economy but also generate local employment, Jampal says. With a proposed plan to start a trekking expedition from Jumla to Lake Rara in Mugu district, it will create some 150 jobs with additional positions for the daily operations of the hotel. Currently, 15 construction workers, wood carvers and painters are working to meet the 2015 deadline for an official inauguration. 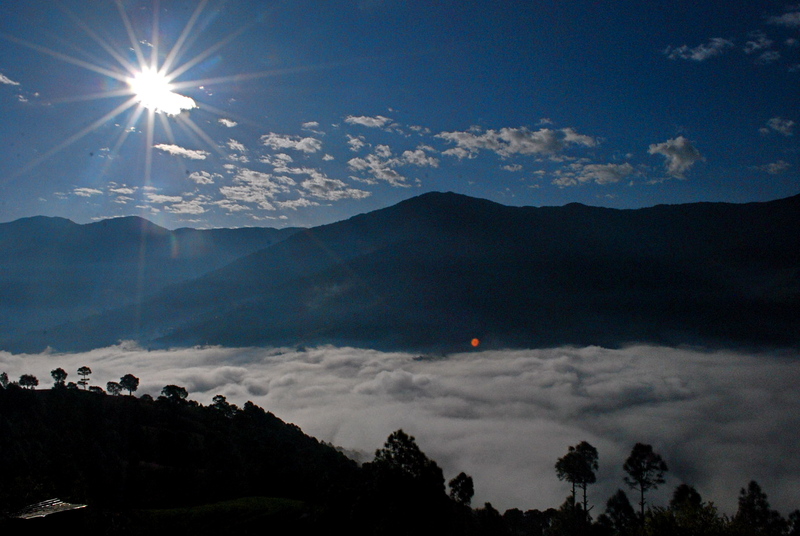 Situated strategically within minutes from Jumla’s airstrip, Hotel Kanjirowa overlooks the towering hills crowded with lush pine trees and the Tila River right beneath. “We couldn’t have found a better location,” Norbu says. Initially what started as building something “bigger and better than their grandfather’s house in Mugu” has taken a new turn for Norbu. Having ditched several opportunities to migrate to the United States, Norbu says he takes pride to have “invested all the savings” in his village. Also, he wants to prove that projects as such can materialize in places like Jumla. This article originally appeared in Republica The Week, November 22. There’s this button that says switch off – it would actually unplug you from almost everything. It would check you out from the virtual world and bring closer to the real world. That’s what I thought I would do during my week’s vacation, but to my own dismay, I thought I was more consumed by the device which I should have left home. As soon as I landed in Bangkok, cheap sim cards with unlimited Internet was sort of irresistible. I got one to keep in touch with friends traveling along and navigate places in a new city. Little did I know that it would actually take over me. And trust me, I was not alone. Some of my friends were more connected to their devices than I was. It did make me feel a bit better. At least I shut down my phone momentarily or the battery ran out too fast. And at two instances I left my phone in the hotel — that was an accomplishment! In today’s day and age where everything is “connected” 24X7 and we have to make our presence felt in the virtual world, it might be hard to detach ourselves from all of that even if it’s for an hour or so. A lot can happen in that hour — you might miss out on so many important comments and “likes” on Facebook and Instagram; you might be too late to tweet and retweet something, and more importantly you definitely don’t want to miss out on posting the best vacation photos and count the “likes” that those photos generate. But it can get ridiculous, especially when you’re in a group and then a friend posts a photo on Facebook from that very location and without making any real comments or conversations or having your say, you actually press the “like” button on Facebook to show your approval. And everything ends then and there. As lame as it sounds, this is true. Though we did make interventions and said to ourselves that we would not be using our phones, which only worked for an hour or so. I think we all might have our own versions, the answers that would satisfy us and not take us on a guilt trip for whatever reason. For me, there was this week where I could have forgotten everything, unplugged and enjoy what was around without having to look for more. But I made a choice to not get away from the things which I could easily have. I know it’s sad. Well, maybe next time … I’ll make the right choice. In a two-day’s notice, I had to leave for Everest Base Camp. My colleague who was on assignment to cover the Everest Marathon couldn’t make it and so my editor passed on the duty to me. Excited is the first word that comes to my mind if I were to define that exact moment — just four months into my first journalism gig, and I was being sent to EBC. And excruciating is how I would sum up the trek; but every little step I took toward the base camp of the world’s highest peak and all the running I did to meet the deadlines is worth remembering. As the world celebrates the 60th anniversary of the first ascent to Mt Everest by Tenzing Norgay Sherpa and Sir Edmund Hillary, the climbing season has been marked by a number of conquests and controversies — from the world’s highest brawl to the world’s highest agreement on that brawl, the world’s highest garbage site, the world’s highest traffic jam … and not to forget the deaths and notable human accomplishments. Every year people come to climb the mighty peak. Each year records are made and also broken. Here’s a paragraph from Greg Mortenson and David Oliver Relin’s Three Cups of Tea, which I think subtly summarizes mission Everest. Personally speaking, it’s a treacherous but a rewarding trek. With every meter, you’re stepping into a higher territory without knowing if you’ll be able to resist the altitude. However, it’s always comforting to reach the stop for that day, to be welcomed by a different peak and a sight to remember. 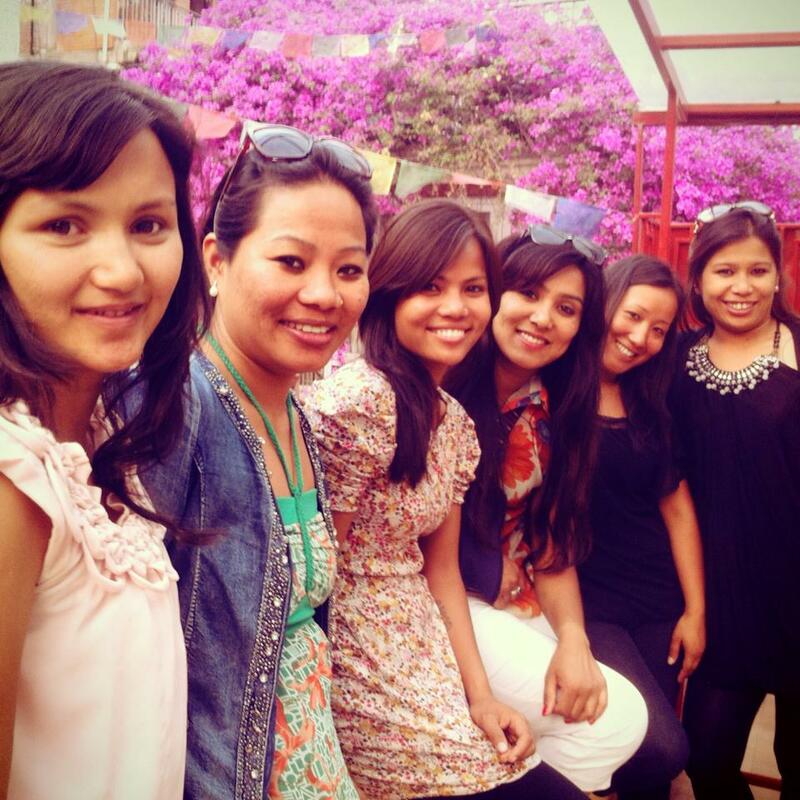 For a majority of us, Everest is a remote though – well, it’s not even a thought perhaps. And for most, I think base camp is the closest we can get. I’m glad that I did it but quite not sure if I’ll ever go up there again. So when I say ‘a trip of a lifetime,’ I think Everest Base Camp is what I would actually be referring to. Here’s a collection of photos from my 2010 trek to Everest Base Camp. In Nepal, travelling can be excruciating. However, spending hours on board an overcrowded bus, crammed in a small seat with minimal leg space as it makes its way up and down the winding roads that cuts through the hills can be an enjoyable adventure provided if you’re with a group of good friends. And that was what my trip to Palpa in west Nepal was like — full of unanticipated adventure with a great group of friends. The journey from Kathmandu started with the usual wait. We were told to be at the bus station at 7 am but we didn’t hit the road until 9 am. As we complained about the “hard seat” and the “eight-hour drive,” we were unaware of what to expect in the hours and days to follow. The drive to Pala was scenic, and also scary. From a distance what looks like curvy lines sketched on the hilly terrain are actually the roads that connects towns and villages. When we got to the bus station in Tansen, the district headquarter of Pala district, we were welcomed by further waiting time. We had to take this 13-seater van to Harthok, a small village that was our final destination. As we waited for an hour inside the van, there were seven people who had been waiting there for almost three hours. The van wouldn’t move unless it was full; and when I say full, I mean without any space for anything or anyone. When the van finally was on the road, there were 20 people plus a baby. There was this woman who started talking to us, gave tips and later kept insisting visiting the temple. Then there was this teenage boy who was sort of excited to see our “white” friend on the van. Then there was the man who was sitting in the middle and had to lean over two people to reach the window so he had could spit. And of course the baby, who thankfully didn’t cry at all. As the van twisted and made swift turns through the narrow roads, my eyes were stuck on the window, trying not to think that a minor miss would lead us hundreds of feet down the hill. But then, this ride and the twists and turns were nothing compared to the one we would be having the next day. 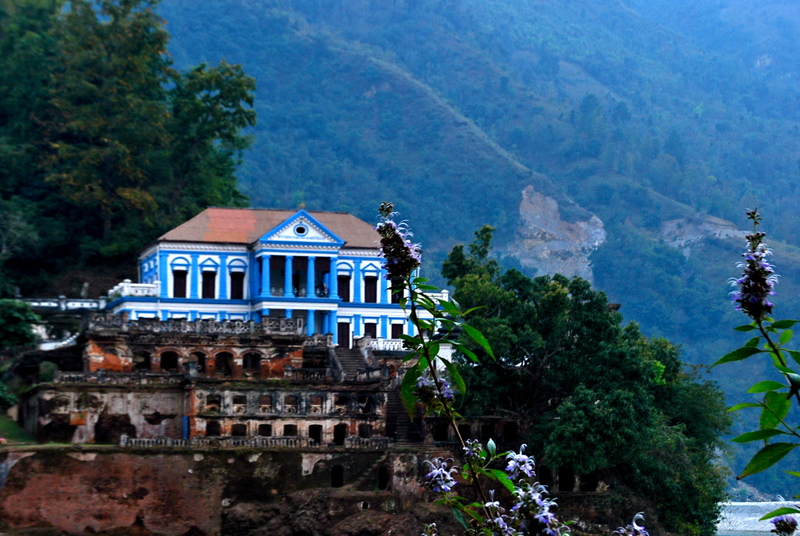 Speeding kills and all seven of us couldn’t stop thinking that as our driver sped his way through the winding blacktopped road that later turned into a dirt road en route to Rani Mahal, the 124-year-old palace in Palpa. While a friend said that she felt like it was some sort of “death ride,” others thought of making some confessions or declaring our last wishes just in case. But we weren’t serious about that, of course not. As our driver made swift turns, we screamed – it was like a rollercoaster ride. There were instances we thought that we might just miss that turn. And at times, while his eyes stared at passing women and not the steering, we were sort of concerned. But the driver was experienced enough to tackle those roads, and everything else, including the flat tire we had. As we drove through the small settlements, we picked up people, the ones who needed a ride downhill. 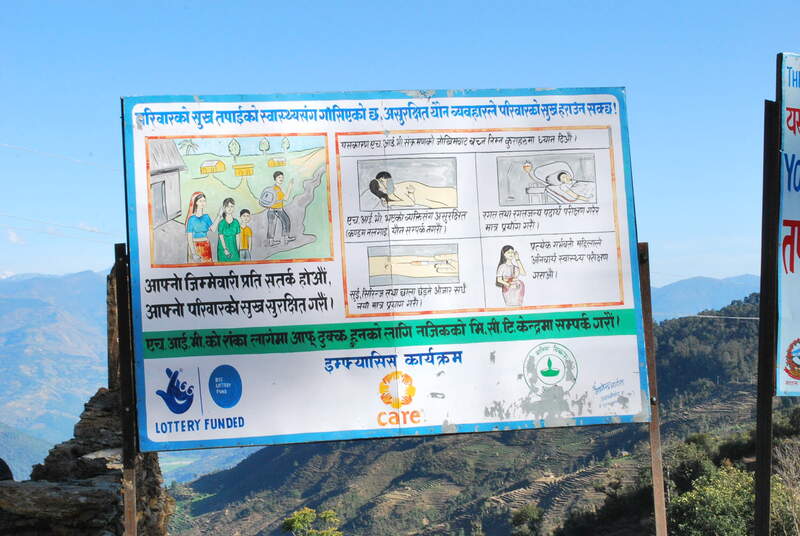 They included an elderly Canadian couple who were sightseeing in Palpa and locals, who suggested us things to see and do in their village. On our return after our short hike, I think we were tried to feel the bouncy ride or notice the narrow roads. Our driver dropped us off in the same speed, and in no time we were sitting by the bonfire talking about “one of the most bumpy rides ever.” Meanwhile, we thought that we would have a smooth journey to Kathmandu the next day. Well, that’s what we thought. But not really. 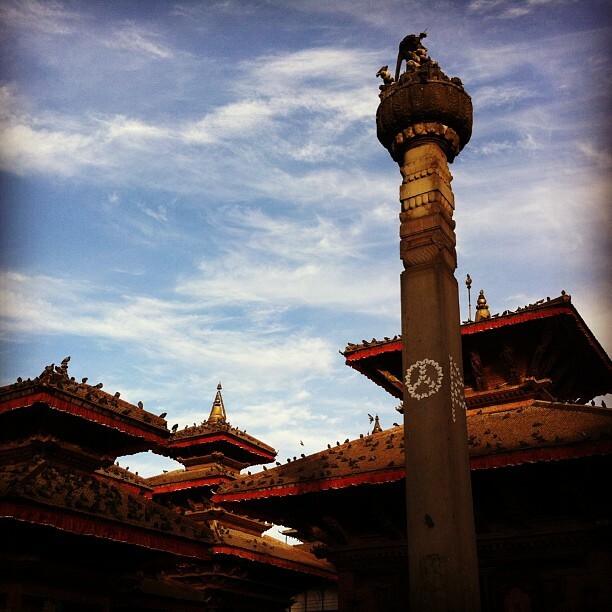 The 12-hour return to Kathmandu was adventurous; I think that’s the best way to put it. Thinking it would be best to take the night bus and reach Kathmandu early the following day, we opted for the 5 pm bus. The first 30 minutes was a joyride. The bus driver played his English play list—Rhianna and other dance anthems included—that tempted us to dance. It made us settle in a happy mood. Soon the English songs faded and the Hindi and Nepali music became overpowering. Still no complains until the empty seats and the aisle started filling. Usually night buses don’t cram passengers, but this had people everywhere – some were sitting on small stools and suitcases while others stood. It was pretty shocking that there were a few who were ready to stand up all the way to Kathmandu, and they did as well. While people in the aisle shared their stories of the need to get to Kathmandu at the earliest, two women right behind my seat were the center of attention of the entire bus. People keenly watched them flirting with the man behind them (well, the man was flirting with them too), and listened to their conversations that revolved around music, movies, relationships and their personal lives. Well, by the first hour nothing remained personal. As the night progressed inside the bus, we also had to bear one of the girls picking on fight with some of the men in the bus. And we thought it couldn’t get worse until the bus was parked outside a small teashop in the middle of the highway. The bus stopped exactly for two hours. From 1 am until 3 am, the driver took a long nap. To justify why he’d stopped and slept, he said that he didn’t want us to get to Kathmandu at 3 am—the city was roughly two hours away. Good point and pretty logical, but still it was pretty annoying to be inside a motionless vehicle for two hours. Good thing, we were close to a hotel that was serving tea. Finally, after all that fuss, we reached Kathmandu at 5:30 am. The journey was long and exhausting, but the destination was worth everything. Palpa isn’t a famous tourist destination unlike other places in Nepal; it’s not the first place that comes to the mind like Pokhara. But it’s different: it’s a mix of nature and culture. 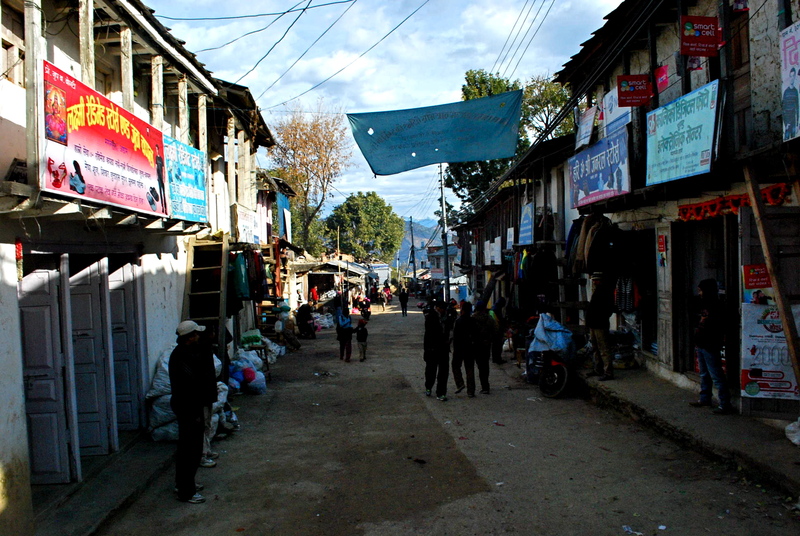 While a walk through the old Tansen bazaar is a good way to experience local culture and see old architecture, minutes away from this bustling town are small settlements, which is a good escape from the periphery of anything city-like. We preferred to spend the few days in one of the villages in Harthok, and opted to stay in a local farmhouse, and not a hotel. A young venture, Srijana Farm Pvt. Ltd in Khasyauli – 5 is a locally-run guesthouse set up in a three-story mud house. In fact it was a great choice – the local food and the hospitality was above excellence, and we were in the middle of a farm, away from all the dust, pollution and the chaos of the city. And this is what we actually wanted – a mini break. So despite complaining about the journey and the excruciating bus rides, I think we’re taking comfort in the time spent in the village under the blue sky and starry nights. For us, this time, it’s the destination that mattered more than the journey.